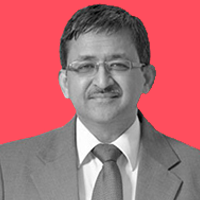 Vineet Agrawal was appointed the head of Wipro Consumer Care in 2002. He also leads the B2B business of office modular furniture and both domestic and commercial lighting. Since 2002, the company has grown steadfast with a presence in 60+ countries, 10,000 + employees globally, with 16 manufacturing locations across 5 countries. Its revenue has increased 20 fold in the last 15 years. The key brands in the portfolio are Santoor, Yardley, Chandrika, Enchanteur, Romano and Bio Essence. Wipro Consumer Care established a global footprint through acquisitions of Unza, Yardley, LD Waxsons and Zhongshan Ma Er. This has given the company a strong presence in Malaysia, Vietnam, Indonesia, Middle East and South China. In India, Wipro Consumer Care acquired Chandrika Ayurveda soap, North West modular switches and Glucovita. Vineet joined Wipro in 1985 from MBA campus in Sales and Marketing function. During his tenure as Marketing Head, he established Wipro’s personal care brands - Santoor, Wipro Shikakai, and Sunflower Vanaspati as national brands. In 1998, Wipro repositioned its corporate identity under Vineet’s leadership. In 1999, he was appointed the Chief Executive of Wipro Peripherals and contributed in consolidating and growing the business. In 2000, Vineet became the Corporate Vice President - Mission: Quality, Brand and Innovation for Wipro Corporation. During his stint, he launched the Innovation Initiative and Six Sigma consulting. Wipro’s CSR program Wipro Applying Thought in Schools program was launched during that time. Vineet is an engineer from the Indian Institute of Technology (IIT), New Delhi, and an MBA from Jamnalal Bajaj Institute of Management Studies (JBIMS), Mumbai. He was awarded the "Distinguished Alumni" award from IIT Delhi in 2008.